WAHI is a voluntary, not for profit, professional association dedicated to promoting and developing the home inspection industry within the State of Wisconsin. In 1994, home inspectors throughout Wisconsin began meeting monthly to improve skills and to discuss what they have learned while inspecting residential homes. In early 1995, The Wisconsin Association of Home Inspectors, Inc. was established with a board of directors that govern elected officers and committees. 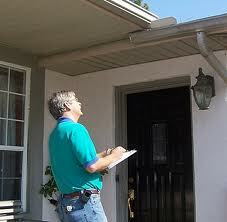 Our goal is to improve the competency of home inspectors through training and professional interaction. Our monthly education programs focus on home inspections as well as other related industry concerns. Currently WAHI has over 300 members and affiliates. 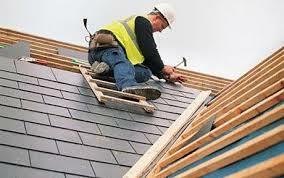 Many are members of other national home inspection associations. Membership includes home inspectors, engineers, builders, electricians, building tradesmen, journeymen, basement specialists, etc. All of them are involved with the home inspection industry in one way or another. WAHI holds monthly business meetings, training programs and educational seminars. All programs are approved for continuing education credits required for the renewal of the State of Wisconsin Home Inspectors License. Local chapter meetings are held monthly, and guests are invited to attend. Affiliate membership in WAHI is open to any type of business for the purpose of exerting a beneficial influence upon the profession and related interests. Build your professional reputation and improve business referrals by being exposed to hundreds of state licensed home inspectors and other established contacts. Thinking about becoming a Home Inspector? Individuals who are not yet engaged in the home inspection profession but are interested in becoming a home inspector after completion of any necessary home inspection training and successful completion of State licensing requirements.